Originally established in 1974, the hotel has been re-imagined, rebuilt and re-emerges as a model of resilient, environmentally-friendly coastal development with a focus on sustainable tourism. GULF SHORES, Ala., 2018-Nov-08 — /Travel PR News/ — The Lodge at Gulf State Park, A Hilton Hotel opened its doors after a much-anticipated return to Alabama’s Gulf Coast. 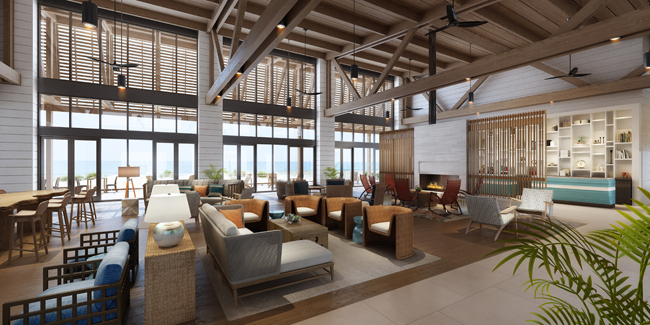 Guests of the 350-room, beachfront hotel, located within Alabama’s Gulf State Park, will enjoy stunning views of the Gulf of Mexico or Lake Shelby with direct access to the emerald green waters of the Gulf and over 6,150 acres of trails and activities within the Park. Valor Hospitality Partners is a full-service hotel acquisition, development, management and asset management company offering an array of services including site selection, product selection, entitlements, financing solutions, conceptual design, construction and project management, procurement, technical services, pre-opening management and operations management. As a comprehensive service provider, Valor Hospitality Partners can be engaged to plan and oversee ground-up developments; refurbish existing properties and assist ownership in positioning; as it relates to decisions on remaining independent specifically, find and secure a brand or in some cases re-brand and re-position through franchise or asset management. Valor Hospitality Partners also offers consulting services on a wide range of project scenarios including working with new or existing ownership groups on reviewing site selection, assessing feasibility studies and project budgets, compiling project budgets and underwriting. Valor Hospitality Partners Africa operates out of Cape Town and Durban, while Valor Hospitality Partners US operates from offices in Atlanta and Memphis; Valor Hospitality Partners UK/Europe operates from London and Valor Hospitality Partners Asia operates from Bangkok. For nearly 100 years, Hilton Hotels & Resorts has set the benchmark for hospitality around the world, providing new product innovations and services to meet guests’ evolving needs. With more than 575 hotels across six continents, Hilton Hotels & Resorts properties are located in the world’s most sought-after destinations for guests who know that where they stay matters.Hilton Honors members who book directly through preferred Hilton channels have access to instant benefits. Begin your journey at www.hilton.com and learn more by visiting newsroom.hilton.com/hhr or following Hilton Hotels & Resorts on Facebook, Twitter and Instagram. This entry was posted in Business, Hotels, Resorts, Travel, Travel Services, Travelers and tagged Alabama, Bill Bennett, guests, Gulf State Park, Hilton Hotel, The Lodge, Vera Manoukian. Bookmark the permalink.